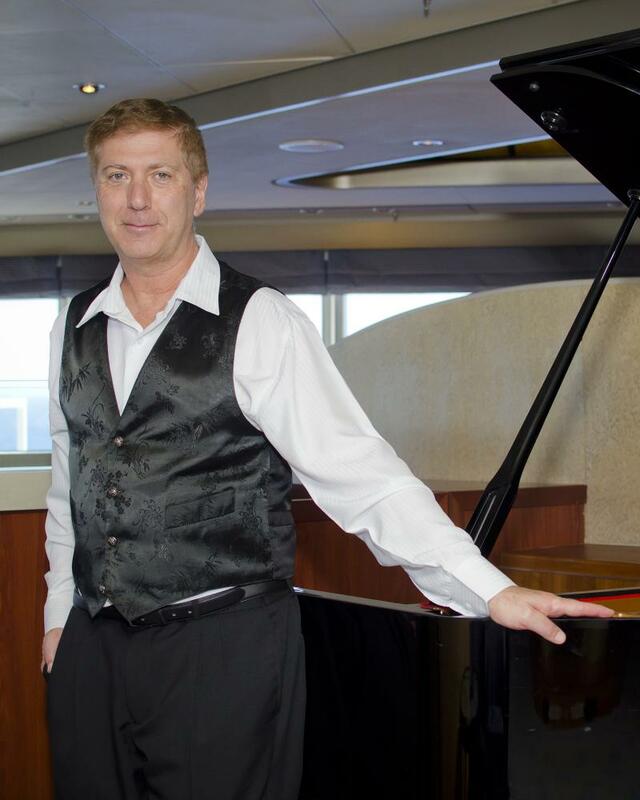 Ray Lemond is a professional pianist, accompanist and Musical Director.Educated at Royal Northern College of Music & Trinity College of Music London. He has over 25 years experience in solo performing, accompanying singers & instrumentalists as well as Musical Director. He has also directed over 35 musical theatre shows in London & Sydney. He has also been working on 5 star cruiseships as MD for the showband, playing for production shows and backing International cabaret artists. He is a regular Solo Classical performer on many of the ships under the Carnival banner, providing many themed piano programmes. These are available to view on the 'PIANO SHOWS' link. Ray specialises in providing quality music for functions of any kind; weddings, corporate and other functions. Music provided can be wide ranging including classical, cocktail piano, light jazz, duos, jazz trio or piano with singers or instrumentalists. Copyright 2009 Ray Lemond - Piano Entertainer/MD/Accompanist. All rights reserved.